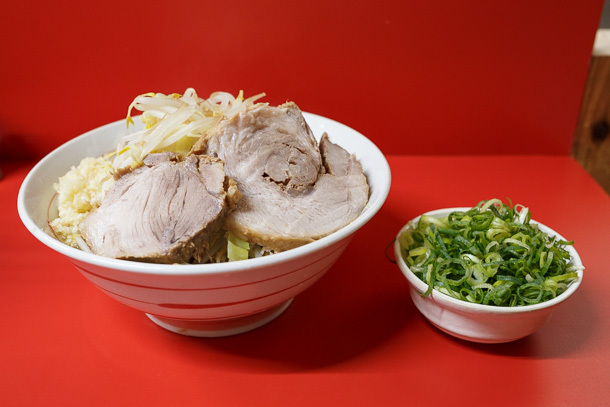 These days, you can find Jirō style ramen all around Japan and even overseas. 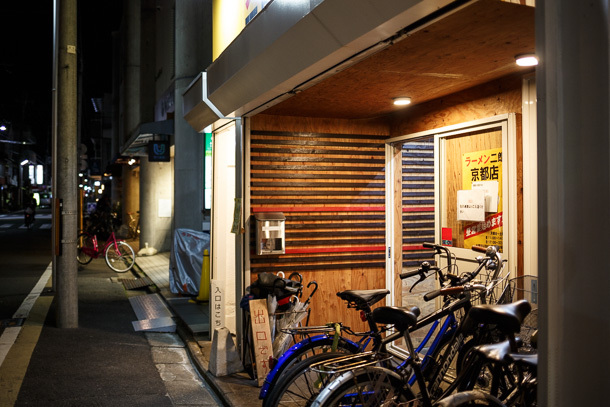 But until recently, branch shops run by former students who trained under Yamada Takumi at the original Ramen Jirō in Mita were limited to the Tokyo area. 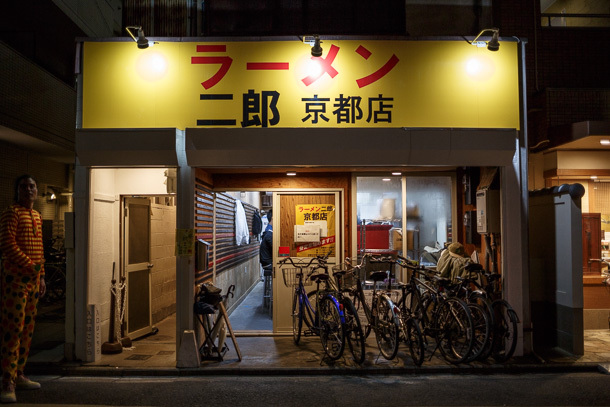 In the past few years, satellite branches have opened farther and farther from the homeland, and it was a big deal when the Ramen Jirō Kyoto shop (ラーメン二郎京都店) opened in 2017 April, right at the epicenter of Kyoto’s ramen scene in Ichijōji. 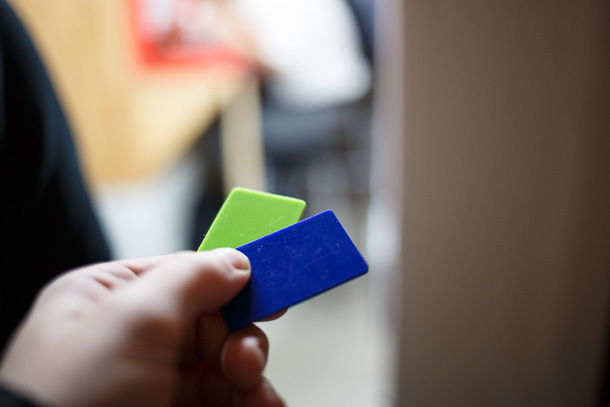 Like the original, this one uses colored plates dispensed from the ticket machine to show the staff what you ordered. I know my limits. A small with standard everything is more than enough food. I have friends who do Jirō weekly and pile it high with mashi (extra) this and mashi mashi that. You go, guys! The Kyoto branch adds a local twist, with an optional topping of kujō negi (九条ねぎ), a variant of green onion that is one of the Kyōyasai, heirloom vegetables originating from Kyoto Prefecture. 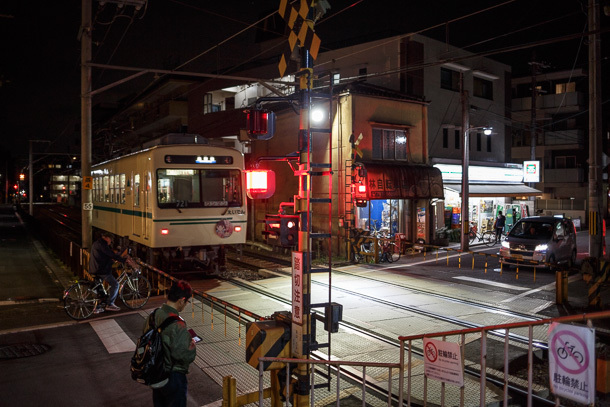 Whether you finish the bowl or the bowl finishes you, roll yourself out and say a preemptive apology to other passengers on the Eizan Railway for your ferocious garlic breath.